I played this track on the second episode of #DENTradio and this was actually the #carepackage song. S/o to @scarlett_spade for wining it eventhough there are new rules against shipping from Japan, we’ll work something out for you. Why does it seem like this topic has trended before? Or that has a close relative appeared under #TT in the recent past? Here’s a few that popped across the timeline. What would you add? Any of these you don’t know yet? Listen to Chain Reaction and other great songs from #DENTradio where ATL meets Tokyo. I really love this song, both versions to be exact. For some reason, this song hit a nerve with me. Listening to this, I totally agree with Hailey Williams, from Paramore. It can be really frustrating some times being in a country like Japan, even more frustrating in Tokyo where (what we say for a lack of a better term) “people have no souls”. Don’t be offended. I love Japan and if you have ever been here, you probably know just what i’m talking about. 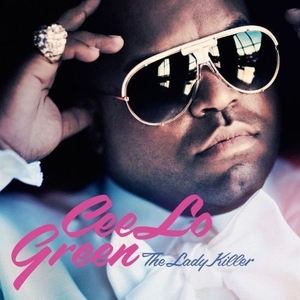 Have you listened to the new album from Cee Lo Green yet? The Lady Killer is an awesome album with just the right combination of soul, funk, jazz and r &b. Dont download this one unless your downloading directly from itunes 🙂 Support good music! Check out the lyric video to “Its Okay” off of the new album The Lady Killer from Cee-Lo Green. Download @DjSmiles new Chill-Lax House mix here!